Another Beauty and the Beast pun straight off the bat as Belle gets some information from her savior! Not enough though and those questions are stalled as the vessel she is on is attacked. The attack itself is pretty well done, with some gruesome effects and some tight action scenes. The ending gives us more questions, but it looks as though things are finally clicking into place! 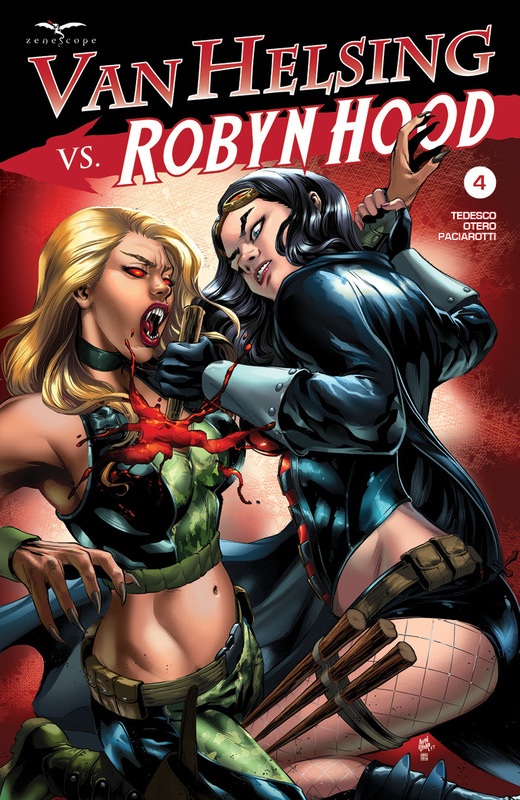 This was a good mid-point story for the mini series! The final part to this mini series, and everything gets wrapped up really well. Van Helsing is pretty clever at the beginning with Igor and I like the way she did it! Then it’s pretty much all action, with a unique idea to solve the vampire problem, and to get some measure of justice too. 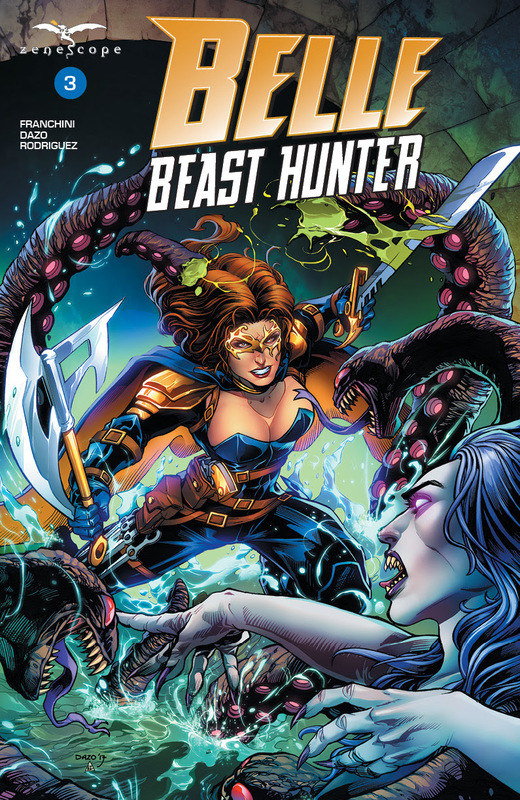 I really liked the art in this issue, with a slightly different colouring effect. 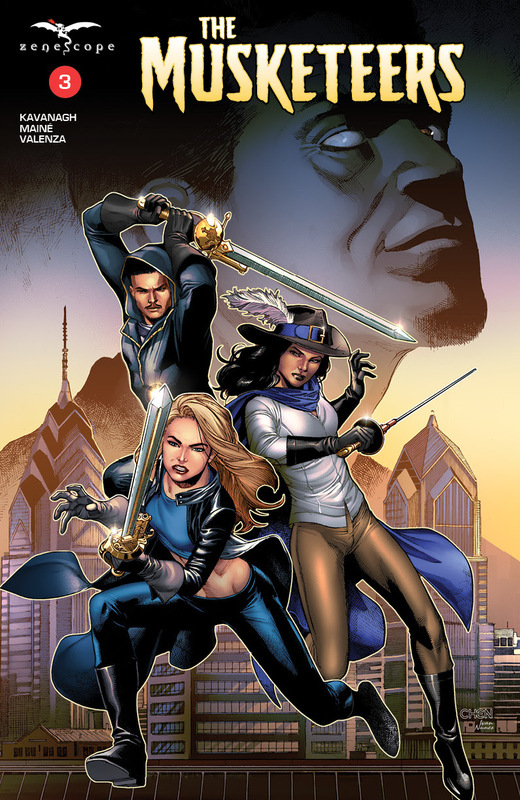 A group of super-powered beings calling themselves the Musketeers has emerged in Philadelphia. While their hearts may be in the right place, their methods are questionable— blurring the line between hero and villain— especially in the eyes of the police force, who would rather see them locked away for good! The midway point of this mini series moves the plot forward quite well. There are some answers in this issue and everyone seems to be getting it together. Except the Musketeers, who seem to be breaking up. There’s also a brief Skye cameo and what looks like a future set up of Shang too. This series is really picking up for the home run!